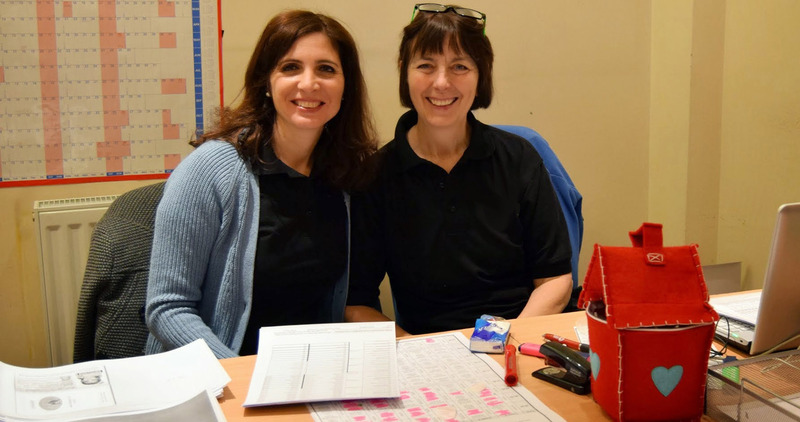 Whether a parent gives up a few hours a month to lend a hand, or a volunteer coach travels up and down the country every weekend to tournaments, volunteers are the life and soul of squash clubs. It can sometimes be difficult to find new volunteers to support your club or county squash programme. Explore our ideas below on how to successfully recruit and retain volunteers. Clubs or counties looking for volunteers need to consider what roles they need and what types of skills they are looking for in new volunteers. By sharing and delegating tasks, you can ensure current volunteers do not have too much of a burden and that available roles are more attractive to those who have little time to provide. Use the workforce checklist to help identify some of the roles which might be required at your club. Some volunteer roles might entail working with children or vulnerable adults - this could be a coaching assistant, a child welfare officer or someone who gives young people under 18 a lift to a competition. We advise that you ask these volunteers to undertake a Disclosure and Barring Service (DBS) enhanced check. When advertising these roles, you should be open that you require a DBS enhanced check. Please visit the Safe Squash section of the website if you would like further information on safeguarding and protecting children. Advertising roles through posters at your venue, via email or at your Annual General Meetings will help to find new support. Equally, identifying potential helpers and making a face-to-face approach often works well. Try advertising in the local area on community noticeboards, articles in the local press or for free online at the Do-It Trust. The Sport and Recreation Alliance have a volunteer finder where you can post volunteering opportunities available at your club to advertise to people in your local area who are looking to volunteer. You can also make contact with your local County Sports Partnership, who will have a local volunteer database from their events. We can also advertise any volunteer roles for you on our social media pages. Get in touch: marketing@englandsquash.com. Does your club have someone who takes the lead on welcoming new volunteers? This doesn't necessarily need to be a detailed role, but someone who can provide a prompt response to any enquiries and a friendly, face-to-face welcome for new volunteers will make a great first impression. It also gives you an opportunity to find out why they want to volunteer at the club so you can ensure the role will be right for them. Clubs Matters have an induction checklist which has some great ideas for clubs looking to start an induction process. It’s important to support new volunteers by having a handover with previous role holders if possible, and providing them with a role description or list of tasks. Their role may benefit from advice on Sport England’s Club Matters toolkit. Speak to your volunteers regularly to check if they need any support, and remember, saying thank you is an absolute must! You may wish to organise an annual social event for your volunteer team too. Remember, volunteers don't work for us, we work for volunteers!